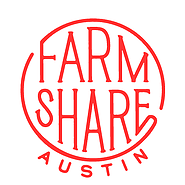 Farmshare is hiring! To apply, submit your resume and cover letter along with two references to info@farmshareaustin.org. Click position title for a detailed description. Please include which position you are applying for in the subject line. This website and its content is the property of Texas Center for Local Food - © Texas Center for Local Food 2019. All rights reserved.